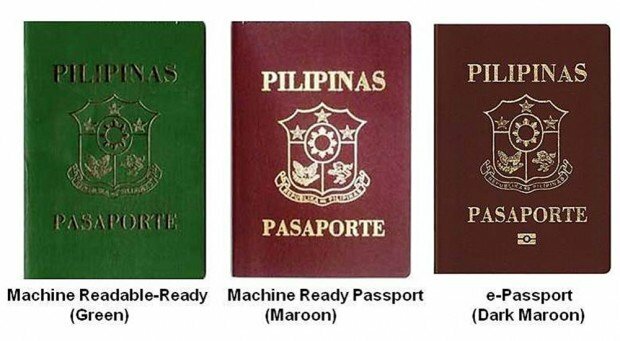 MALVAR, Batangas, Philippines — The country’s first ever e-passport plant located here promises to process new Philippine passports in less than a day, even minutes, giving its every page new intricate and tamper-proof designs. President Aquino himself will witness the first live demonstration of the new e-passport system on Monday (July 20) at the three-hectare high security printing plant inside the industrial park Lima Technology Center here. APO Production Unit, the government-controlled corporation under the Presidential Communications Operations Office (PCOO), which has been awarded the contract to print the new e-passports for the Department of Foreign Affairs will lead the unveiling ceremony. The event in the morning will also be attended by Foreign Affairs Secretary Albert Del Rosario. “There is an urgency to replace the old system,” Jimbo Aldaba, executive vice president and general manager of APO, said during a recent visit of journalists at the plant here. “The system could no longer swallow this. Old machines and the old software are causing the problem. Most passport enrolment machines have reached the end of life,” Aldaba said. He said that apart from doing the manual encoding, the old system was still relying on Windows XP, a software near its obsolescence. The plan of the national government was to set up an integrated plant, which would produce passports in one area, making the passport processing faster and more efficient, he said. The Bangko Sentral ng Pilipinas used to print the passports at its security plant complex in Quezon City. Aldaba explained that the Lima e-passport plant would use global web-based application system designed to automatically input the data given by the applicants during their online appointment booking. The information automatically goes into one system, which does its own verification right away. “When you apply for a passport, your details no longer needed to be re-encoded,” he said. APO was awarded a contract with the DFA to maintain its old system before fully transitioning to the new one. Under the contract, the DFA engaged APO to do maintenance and technical services to keep the servers and the communications line between the DFA headquarters and the 120 embassies, foreign service posts, and regional consular offices that still have computers that enrol applicants running. Aldaba lamented that out of the 17 printers originally delivered in 2009, only 3 have remained operational. “These are not enough to keep up with the output that the DFA requires, which is 15, 000 passports a day,” he said. The Lima Technology Center is a 485-hectare estate registered under the Philippine Economic Zone Authority and is located in Lipa City and Malvar of Batangas. Its elevation and distance from bodies of water, reliable power supply and secure perimeter were also among the reasons, he said. The new passport printing system also offers new passport designs that make the travel identification document almost impossible to fake. In a prototype shown to journalists, each page bears lines of the national anthem “Lupang Hinirang” on the background of pictures of the Philippines. A page is dedicated to the full text of Filipino national hero Jose Rizal’s Mi Ultimo Adios (My Last Farewell). Aldaba said best images of the Philippines’ 18 regions and the Makati Central Business District are showcased in the new design. “The passport is an identification document. What identifies us as Filipinos is the diversity of our archipelago,” he said. “There will be stories about Philippine heritage on every page,” he said. The APO official, however, noted that the design could still change pending the final approval of the DFA. APO likewise boasts that the passport booklets are made of more durable and higher quality materials to last beyond normal wear-and-tear-period. The “rainbow print” on every spread of the passport would make it difficult to be tampered with, he said. “On the design, it’s going to be up there with the best,” he said. The e-passport contract was not without controversies. Last month Akbayan Rep. Ibarra M. Gutierrez III questioned the P8-billion deal between the DFA and APO saying the latter had no established track record for printing security documents. This was disputed by APO, saying it was qualified to do high security printing. Mila Alora, chair of the board of APO, said the GOCC has been one of the three government printers recognized in the General Appropriations Act and reaffirmed by the Governance Commission for Government-Controlled or Owned Corporations. The two other authorized printers are Bangko Sentral ng Pilipinas and the National Printing Office. Apart from handling the e-passports, APO currently produces the excise stamps for the Bureau of Internal Revenue while maintaining its Internal Revenue Stamp Informational System, a security software that tracks and traces tobacco products. On Monday, President Aquino will experience live the entire process of passport application — from enrollment and capture of his biometrics and biographical data, printing and verification. All these will be done in a matter of minutes with APO’s personalization machine. To demonstrate the system’s capability to conduct similar process off-site at real time, representatives of overseas Filipino workers communities who are based in Singapore and Doha, Qatar will participate in the live demonstration. Aldaba said having an e-passport plant, compliant with procurement policies and standards set by the government and the International Civil Aviation Organization (ICAO), would address the country’s needs. “The savings that we get goes back to the capital expenditures, but this cost gives you better products and services,” he said. Life in the dumps… in Singapore?